Explanation: What's creating methane on Mars? Recent measurements from the robotic Curiosity rover currently rolling across Mars indicate a surprising 10-fold increase in atmospheric methane between measurements only months apart. Life is a major producer of methane on Earth, and so speculation is rampant that some sort of life -- possibly microbial life -- is creating methane beneath the surface of Mars. Other possibilities do exist, though, with a leading model being the sudden release of methane produced by the mixing of specific soil chemicals with underground water. 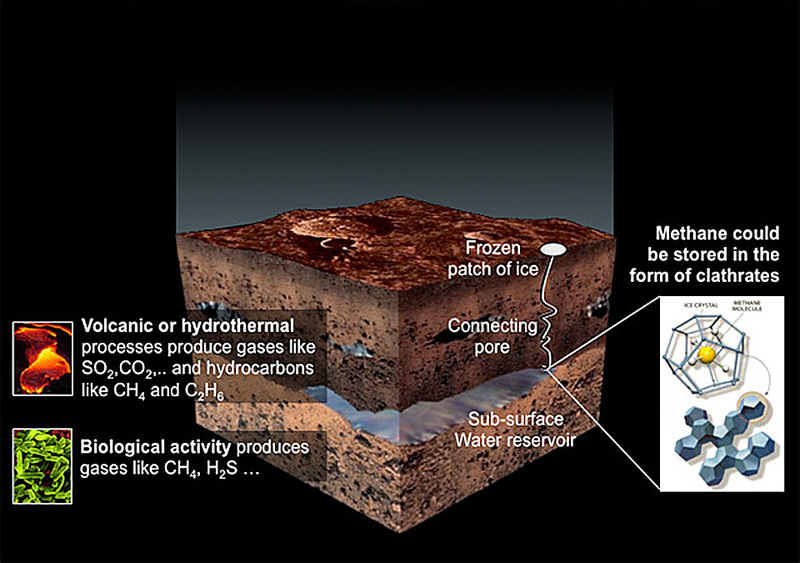 Proposed origins of Martian methane are depicted in the featured illustration. 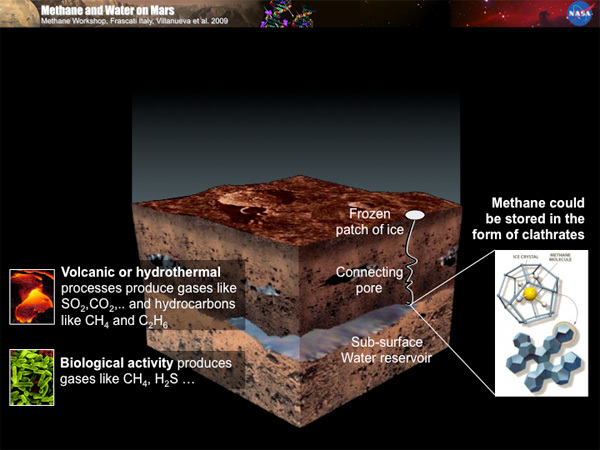 The origin of Mars' methane is a very active area of research, with missions like Curiosity and India's Mars Orbiter Mission searching for clues by measuring methane abundance changes and possible byproducts of different methane-producing processes.